So you have been hunting for hours for Amazon’s customer support phone number on their web site. 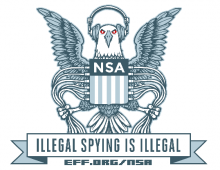 Well in the US it is 866-216-1072. Their people are usually super nice and very helpful. I highly recommend that you call them whenever you have an issue. The following command fixed the install issues for me. Details of this issue can be found as a bug for Qt 5.2 – Qt Bug 31878 description. Just a quick update for anyone who has a Late 2012 Mac Mini server i7 processor with dual internal HD. I think I’ve tried every permutation to get the system to boot with the two drives in a raid configuration including converting the volumes to APFS. Absolutely no love. Mojave install disk will let you install the OS to the OS to the APFS raid drive, but the drive goes into a never ending reboot cycle. End of the day. I have still not found a way to use the two drives in the Mac Mini server as a Raid array since Sierra. What I ended up having to do it roll back the system date on the computer. To do this just open up the terminal from the command prompt and change the date with the date command (use a date that was not too far from the original date the OS was released). GoldenCheetah – Smart Trainer software can be free! Ok, I’ve got a bunch of old (but still Intel) mac hardware that I have been using to run my Wahoo KICKR generation 1 trainer, Wahoo Tickr heart rate monitor, and a Wahoo cadence sensor. For a long time I’ve been having to pay an average of $10 a month for a service to run my trainer. I have either used or tried; Trainer Road, Zwift, Sufferfest, and Bkool. While they all work well I do not find that any of the services are worth $10 a month. Then I happened on GoldenCheetah. GoldenCheetah did everything I wanted it to do. What I’m really looking for is something that will run my trainer setup, have configurable workouts, have analysis intelligence, link to upload/download from Strava, and be free as in beer. The only issue was that it crashed constantly on all the hardware I tried it on. I tried 3 different Macs; Mac Mini 2,1 core 2 duo, a Mac Mini 6,2 and a Macbook Pro 9,2. I tried a Mac Mini 2,1 that I had converted from MacOS to Ubuntu 16.04. I tried setting up an Ubuntu 16.04 VM on the i7 Mac Mini 6,2. All attempts either crashed or did not see the ANT adapter on the USB port. I am happy to say that I believe I have figured it out. The one pain in the rear is that you have to spend some time installing libraries, compiler, etc… and compiling the code on your trainer machine. Time Machine – Complete Restore of Mac High Sierra. So I had a SSD fail in one of the Mac’s here at the house (first failure so far. 5 years and 2 months old – older SSDs are still running fine). Trying to reinstall from a Time Machine backup was proving to be a bit of a pain. Since there was no boot partition, and there are no OS boot disks anymore, I did the network install of a boot partition. I guess for my machine the default install partition is an older version, because it installed an older version of the OS on the emergency boot partition. Not sure if it was related to the older version not being able to figure out how to restore, but the install would always hang looking “searching for an install disk” (which it would never find). So I had to go to another mac, pull my archived version of the High Sierra install esd file and create a bootable USB. After booting from the USB, using disk utility to reformat the disk, I started a time machine recovery. Right off the bat the machine finds the new disk and installed right away. There are many other possibilities as to why this happened, but I thought I would post my steps in the case they help someone out. Of course this all requires you to archive a copy of your ESD file prior to each software upgrade. Instructions on how to archive this are all over the web (MacWorld link) however the jist is always to download the update, then prior to the install process starting, copy the “High Sierra installer.app” (or whatever version you have) from the applications folder where the installer downloaded it, to drive space somewhere. Then you can either use the terminal or InstallDiskCreator to build the USB. I’ve used DiskmakerX in the past, but it has become so buggy, I don’t bother anymore… Both utilities are free, so no worries there. I think the MacWorld link above has a link on it to download the file directly without going through the app store. The transmission takes 20-24 oz according to the shop manual. I get a steady flow of questions regarding carb jetting and the Dynojet kits, and I’d like to answer them once and for all. Before addressing this, I need to set the stage about fuel mileage. The mileage one records is dependent upon a number of factors. The speed at which you travel is one. Mileage plunges dramatically above 60 mph or so-a bike that gets, say, 45 mpg at 60 might only record 30 at 80 mph. Another important influence is the size of the hole you and your bike poke in the air. An FLHT touring rig needs about 12.8 horsepower to go 60 mph, while a Sportster gets along at 60 with about 10. Headwinds, climbing and elevation all affect fuel mileage. Total gross weight has little influence at steady speeds; however, carburetor jetting has dramatic effects on fuel mileage. When I talk with someone about fuel mileage, I find it useful to set a test standard. Here is my standard: a steady 65 mph on a flat, windless road. These are conditions most of us can find and safely use. Using this standard, stock Harleys typically deliver 45 to 55 mpg-the lower for the big touring rigs and the higher for the Sportsters. I have found that properly jetted Evo, Sportster and Twin Cam Harleys deliver mileage between 42 and 51 mpg, using the test standard defined above. Keep in mind that stock engines are tuned very much on the lean side of correct jetting. When we modify carburetors to get rid of the “lean staggers” during warm-up and to smooth out throttle response during acceleration within the lower throttle settings, we can expect somewhat lower fuel mileage at cruising speeds. However, that loss need only be a couple of mpg, not 10. I have talked with many (easily more than a hundred) owners who have installed the Dynojet kit and who have been disappointed with the results. From your bike’s mileage I would guess that you have either a Dyna or Softail series motorcycle; 36 mpg is about right for a Dynojet-kitted FX Harley. The big touring machines usually get closer to 32 with the Dynojet kit. An FXD or FLST that delivers 36 mpg at 65 mph is running too rich. That too-rich condition has consequences. Range is an obvious possible problem, although some riders aren’t too concerned about range as they like to stop more often than the bike needs a fill-up anyway. Climbing ability is a more important concern for those of us who need to go up or over mountains. A 36-mpg bike will probably start misfiring due to its over-rich condition by 4,000 feet, maybe even 3,000. By contrast a stock or correctly jetted engine should get to at least 6,000 feet before getting grossly rich, 7,000 feet is better and achievable. Stock Harley jetting is very lean from just off idle to about ¼-throttle. This is also true of all road-going bikes sold in America for the last quarter century. However-and this is important-at idle and above ¼-throttle the jetting is pretty good. Harley’s Keihin CV (constant velocity) carburetor is based on the basic Amal slide carb design from the early post-World War I era. And therefore, it shares similar parts which perform similar functions. Idle and just off-idle air/fuel mixtures are controlled by the idle jet which is fine-tuned with a screw. Both the jet size and screw setting are important. Off-idle to approximately ¼-throttle mixtures are controlled by the straight-diameter part of the needle together with the inside diameter of the needle jet, in which the needle rides. This is the range that is too lean for best engine performance on stock motorcycles. Either the diameter of the straight part of the needle, or the inside diameter of the needle jet, must be changed to affect mixtures in this most used throttle range. Nearly all riding is done within this off-idle to ¼-throttle range. From about ¼- to ¾-throttle, the taper of the needle controls the main mixture. One normally raises or lowers the needle to fine-tune mixtures within this range. The main jet takes over at about ¾ throttle and is virtually unimportant below that opening. If you would like to learn more about how to diagnose and tune these carb sub-systems, I invite you to download the Mikuni HSR Tuning Manual (www.mikuni.com; click on the picture of the carb and click on the hot link “Manuals”). I wrote this manual for Mikuni, and although it directly addresses the Mikuni carb, the diagnostic principles apply to the Keihin CV and many other carburetors as well. l. Buy and install a stock jet needle for a 1988 or ’89 1200 Sportster (H-D Part No. 27094-88). This needle was developed for the early Sportster Keihin CV carb that was not equipped with an accelerator pump. As such, it is richer in the off-idle to ¼-throttle range and works just right. 2. Remove the soft aluminum plug covering the idle mixture screw. Back the screw out to slightly richen the idle mixture (½ to 1-½ turns will do it). Do Not change the main jet; the stock one is just right with a free-flowing air cleaner and mufflers. Yep, the stock main jet is rich. If you find this hard to believe, use the main jet test in the Mikuni manual to see for yourself. You see, the main jet size is not controlled by emission testing and the government is not very interested in mixtures at full throttle. The factories are free to use any main jet they want and, for some reason, all the stock bikes I have tuned over the past 25-plus years have had somewhat rich main jets, including Evo and Twin Cam Harleys. Do Not change the slow jet; the stock one is just right with an open air cleaner and free-flowing mufflers. And Do Not install straight, open pipes, especially long ones. If you do, forget everything I’ve said. Straight open exhaust-equipped engines run poorly in the 2,000- to 3,500-rpm range and no amount of carb tuning can fix that. Carburetors work by creating a partial vacuum in the throat (venturi or choke) of the carb body. The difference in air pressure between the throat and the outside air causes fuel to flow into the carburetor through any orifice it can find. Tuning a carburetor consists of controlling the size of those orifices so that the resulting air/fuel mixtures are correct. s: idle, main (mid-throttle) and the main jet. The HSR also has an adjustable accelerator pump, which I consider an important fourth tuning element. All tuning elements are supplied with fuel by the float bowl at the bottom of the carburetor. 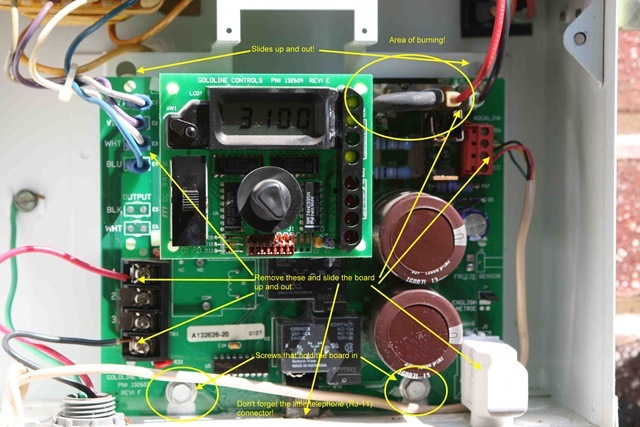 The idle system is a separate carburetor built into the main body. There are appropriate connecting passages, a replaceable jet, and an adjustment screw. The screw controls the air/fuel mixture at dead idle. The jet controls mixture as the throttle begins to open. By about 10 percent throttle, the idle system is delivering all the fuel it can. It continues to provide this fuel all the way to full throttle. The main system operates as the throttle slide is raised above about 5 percent, and it begins to deliver fuel and assumes control of the mixture. Yes, there is an overlap between the idle and main systems. However, it is not difficult to get this overlap area right if one follows the manual’s advice. The main system consists of the throttle slide, a tapered needle (jet needle), and a needle jet. The needle is mounted in the center of the slide. The needle jet is mounted in the carb body. As the throttle slide rises and falls, the needle moves in the needle jet. The needle is tapered. The relative sizes of the needle and jet determine how much fuel is forced into the carburetor throat at any particular throttle setting. More fuel flows as the slide rises, due to the needle’s taper. The main jet is mounted to the bottom of the needle jet and limits maximum fuel flow. It assumes control at about 75 percent of the throttle opening and has no effect until then. The accelerator pump’s purpose is to supply a squirt of fuel when the throttle is suddenly opened and there is too little vacuum for the main system to work properly. It has a replaceable nozzle and can be adjusted for starting and ending points. Advanced tuning is a bit involved as it is for any carburetor. The individual steps are simple and clear. The great advantage of Amal slide-type carburetors such as the Amals, Bings, Dell’Ortos, Mikunis, and others is that their entire operating range can be adjusted in the field. We have a four-step tuning procedure for these carburetors that has served well for more than 80 years. Adjust the idle system. Set the adjustment screw for best idle. Fit the idle jet that gives the smoothest response as the throttle is slightly and slowly opened. Adjust the main system. Accelerate with the throttle between 10-to-25 percent open. If the engine responds cleanly and briskly, the needle diameter is correct or nearly so. If the engine seems lean, a smaller-diameter needle is needed. Too rich needs a larger needle. In practice, needle changes are seldom required. Accelerate in the 25-to-75-percent throttle range. The needle taper controls the mixture strength in this range. There are five needle-height adjustments. If the mixture seems rich, lower the needle; if lean, raise it. Accelerate at full throttle. The main jet that makes the most power is the one to use. A dynamometer is not needed for this test. Accelerate between two points on the roadway. The highest speed at the second point defines the correct main jet. As I said, the accelerator pump adds fuel when the throttle is first opened. This is to both richen the mixture for maximum throttle response and to compensate for low vacuum over the needle jet. The HSR pump has three adjustments: starting point, end point, and nozzle size. Nozzle size determines the fuel delivery rate and how long the squirt lasts. The stock settings start the pump at about 1/8th throttle and end its stroke at around 1/2 throttle. The jet is a number 80 (0.80mm in diameter). I use and recommend different settings, which I’ll detail later. This simple set of procedures works well and can remove most of the mystery from carburetor tuning. Yes and no. Those people who have worked with true Amal-pattern carburetors, which have round slides, know that the larger carburetors help make more high-rpm power by flowing more air. However, that greater power potential is accompanied by a loss of low-rpm throttle response. 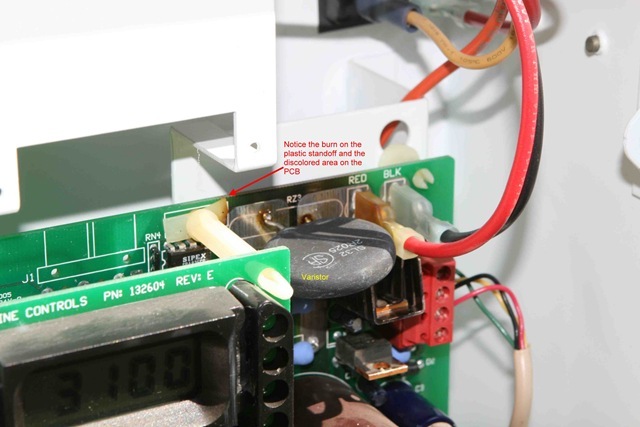 The more recent flat-slide variations, such as the Mikuni HSR, greatly reduce this power/response trade-off. It is now possible to fit a “top end” carburetor and still get good throttle response in the lower rpm and throttle range. A 42mm HSR42 adds about 3 horsepower to the output of a stock Twin Cam or EVO engine. The 45 adds 7 horsepower with no loss of part-throttle response, fuel mileage or tuning sensitivity. The performance advantage of the 45mm carb means very little to most of us. Its power advantage only begins to show at well above 5,000 rpm. The HSR42 is easier to mount as it uses the stock manifold while the HSR45 needs the larger Harley Screamin’ Eagle or Mikuni manifold. It’s your choice. If you are chasing maximum power with cams, porting, etc., then your choice is obvious. Otherwise it makes no difference which one you choose. The HSR48? Don’t bother. Our testing shows that the HSR48 only adds 2 or 3 top-end horsepower to an already powerful (120-plus horsepower) engines. Mikuni’s default jetting and adjustments cover most engine setups, as they should. Tens of thousands have been sold with very few complaints about how well they work. However, the stock settings are fail-safes and are on the fuel rich side of ideal. I have no complaint about the stock tuning, except for the accelerator-pump settings, which I am convinced are just plain wrong. I have developed a set of jets and adjustments for the HSR42 and 45 that work better on most properly tuned engines. By properly tuned I mean that the engine is sound, there are no long straight pipes, drag-race cams, or stylish air cleaners that don’t flow much air. Many hundreds of Harley owners have adopted my recommendations and have gotten excellent results. They report that throttle response is improved, fuel mileage is better, and their engines sound and seem “happier.” The changes I recommend include accelerator nozzle size and adjustments, idle jet size, and needle size. •17.5 idle jet, leaner than the stock 25 or 20. •98 needle, leaner than the stock 97. •50 accelerator pump nozzle way down from the stock 80. •The main jet is whatever it needs to be and the stock one is generally correct. These parts are available individually or in kit form from Fox Distributing in St. Charles, Illinois, 630-513-9700. The kit is called the Mikuni Mileage Kit and there are separate kits for the HSR42 and 45 carburetors because the needles are different. 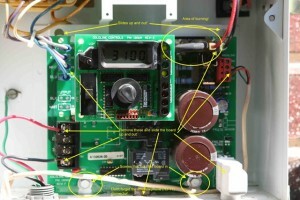 The kits come with simple installation and tuning instructions. 1. Adjust the accelerator starting point so that the pump starts working immediately. Adjust the end point for maximum travel. 2. Fit the smaller idle jet and adjust the mixture screw for best idle. 3. Fit the leaner needle with the clip in the middle notch. 1. Performance just off-idle is cleaner and more immediate. This is because the idle jet is more correct and the pump delivers fuel sooner but at a lower rate than stock. 2. The engine is more responsive, cleaner and “happier” sounding because of the leaner mixtures in the 10-to-25- percent throttle range, where we do most of our riding. 3. Fuel mileage increases, sometimes dramatically. Don’t be surprised if you record 48-to-49 mpg at 65 mph. Even baggers do better. 4. Midrange throttle response is greatly improved and the engine is much more pleasant to use. Expect bugs in your teeth. 1. Engines with high cranking pressures (high compression) may detonate at low rpm when accelerating. The original 97 needle should fix this. 2. Nothing, not this kit, not this carburetor, nor any carburetor, is going to make an engine suffering with open straight pipes run well. 3. Big cams, those with intake-closing angles of close to 50 degrees ATDC, aren’t going to run well below 4,000 rpm. No Mikuni or any other carburetor can fix this. Either race the thing or install a more appropriate cam for street use. Ok, every year I have the same problem. The green lights on my Hayward salt generator go off. The display stays on telling me how much salt is in the pool, but the lights will not come on. Usually when I first notice this I can turn off the generator for a little while then the green power light will come back on for a while then when I turn the generator on, the relay will click, then all the led lights go dead again. This is due to Goldline controls horrible design where a current inrush limiter goes bad and kills the power stage on the primary board. First off I’m a little ticked at Hayward/GoldLine for continuing production of a faulty design. From the number of people complaining about this, it is not an isolated issue with my board. The only justification I can think of is that they love to sell those $400 boards as a result of the shoddy design. As a result, I have had to replace my inrush limiter once every year. It may have something to do with my cell being the biggest the system can handle (T.15 for a 40k pool, I think). It always seems to happen after the first of the year when the pool has been too cold for the generator to run, then I run Super Chlorinate for a full day to catch up. I think this overheats the inrush limiter. 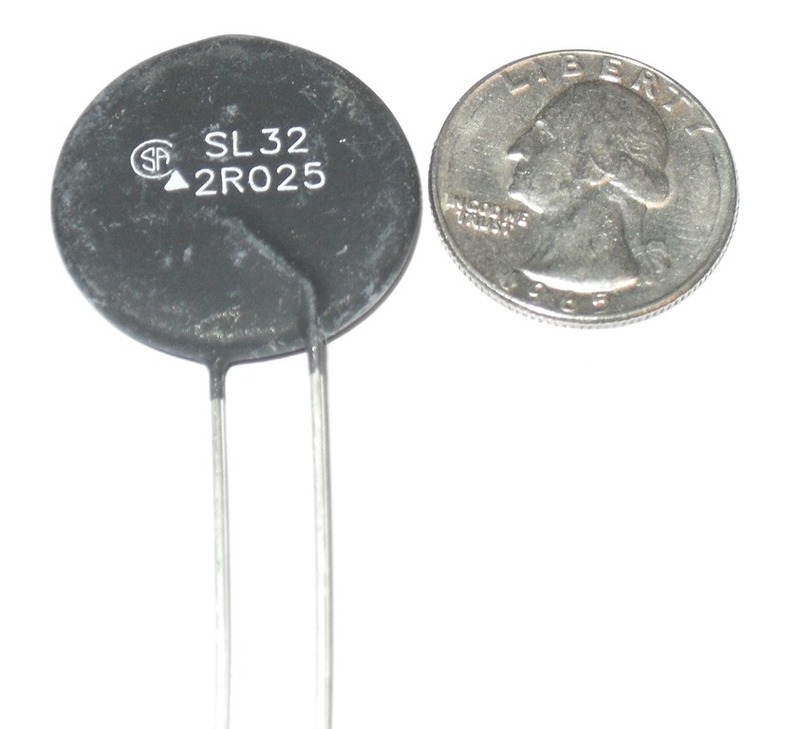 Last year I replaced the original AS32-2R025 (DigiKey 570-1105-ND) with a AS35-2R035 (Digikey 570-1112-ND). The resistance at full current was a little lower, but not far off and the part was built to run 35 amps as opposed to the OEM 25 amp… It seems that the AS35 upgrade did not fix the issue. This year I’m going with a MS series part MS32-2R035 (Digikey 570-1027-ND). Just replaced it this morning and everything is back up again. Still no issues. 5 years and counting. Has the process of populating your OSX El Capitan folders become very slow? OSXDaily has a fix based on the original hashbang discovery. The applications folder on my Mac recently (post 10.11.5 update) started taking 20 to 30 seconds to populate. OK, I will keep updating this post as I am still experimenting. 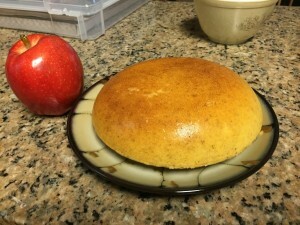 I found numerous articles on the web showing ways to make a loaf of bread from pancake mix in a rice cooker (here is one). Some articles said that it was a piece of cake (pardon the pun), while others claimed that the product was unusable. 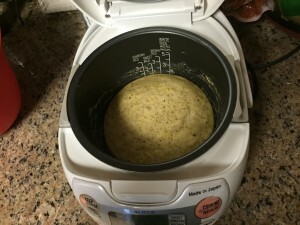 None of the articles I found mentioned the type of rice cooker I had (Zojirushi Neuro Fuzzy) or had any advise on making the recipe gluten free. I can tell you now that I have had good success, and to help anyone else out there here is a running log of my observations. So far I have used the porridge setting on everything I have tried. I have not tried other settings, but probably will later. I let the rice cooker run to the end of the cycle and there has been no problem with having to restart or having the loaf burn. For some unknown reason I always add the quantity of oil called for in the waffle recipe, but use the ingredients from the pancake recipe. To extract the loaf I remove the rice cooker bowl from the machine and put a plate on top of the bowl. Then I invert the bowl and the loaf is unceremoniously dumped onto the plate. I’ve never had one crack or break as a result of this. 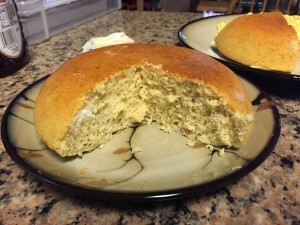 Gluten Free Bisquick makes a more moist slightly rubbery loaf, but it is still very much edible and will absorb syrup fairly readily. When you open the rice cooker the top of the loaf looks white and rubbery, but if you touch it, it is cooked through. I’ve let it sit for up to 10 minutes on keep warm and it does not burn the bottom. Hodgson Mill gluten free pancake mix holds a most dubious honor. It is the worst tasting mix I have ever encountered. It made a rubbery loaf that smelled and looked bad. I bought it because I needed mix that day and the store did not have Bob’s or Bisquick. Trust me it was not an acceptable substitute. 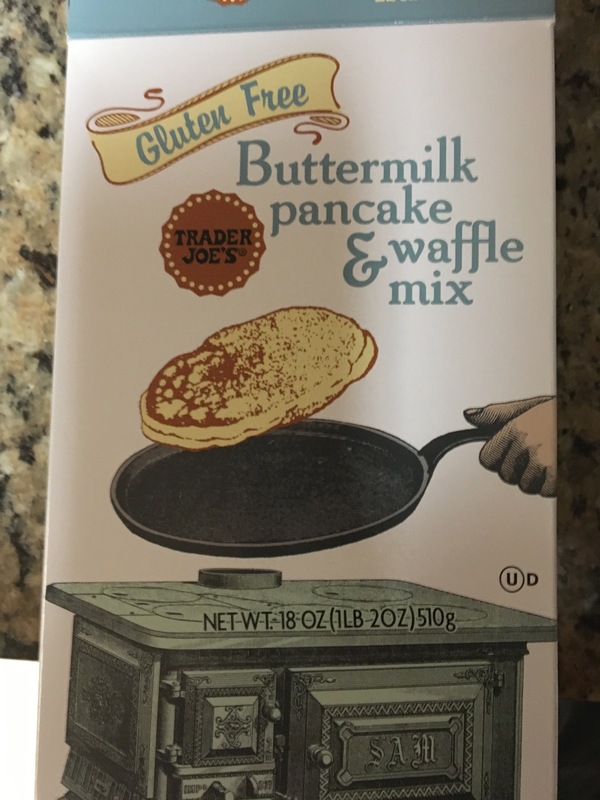 Kodiak Cakes – gluten free frontier flapjack mix – these were very tasty, but came out very doughy. Also, these are oat based, if you have gluten issues you may also have issues with oats, so be careful. Pamela’s was pretty good, but you have to be careful with this one if you have tree nut allergies. 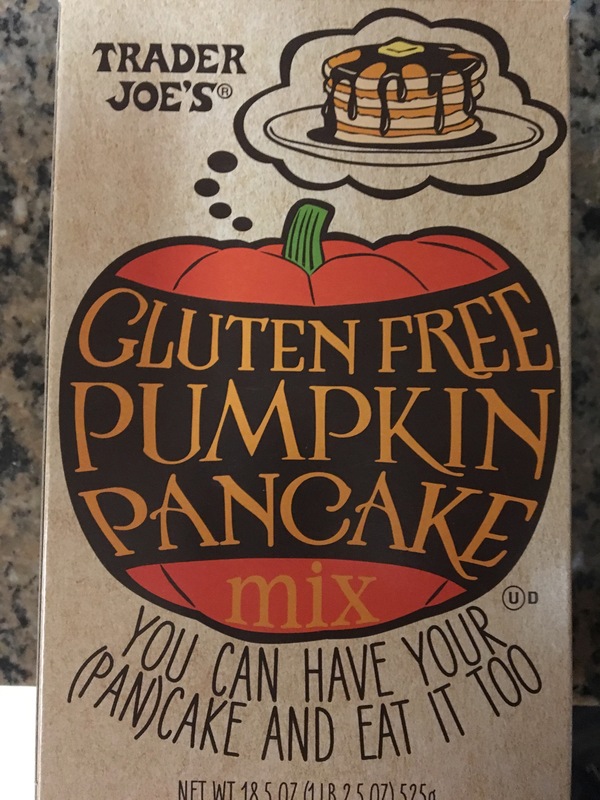 They include almond flour in their mix. 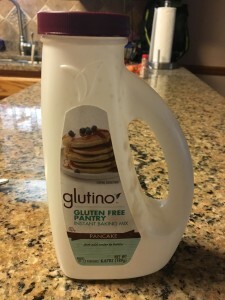 King Arthur gluten free pancake mix – This one was wonderful. The whole kitchen smelled like fresh baking. Taste was excellent. Note that the instructions on the box I had were for a double recipe (used the whole bag). I halved the recipe and it made a standard size rice cooker pancake. As noted above if I had made the full recipe it would have been mostly uncooked. 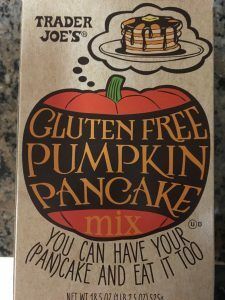 Hungry jack funfetti gluten free pancakes. 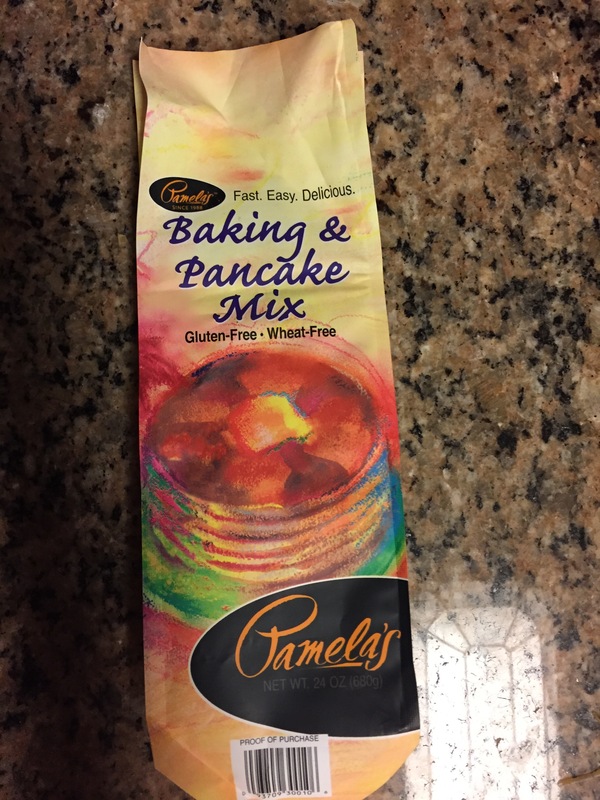 This mix tastes just like cake. I would probably like it more without the funfetti, but it wasn’t bad. The flavor of the cakes was great! I really liked it… That said I did not follow the instructions on mixing. It is an add water only mix, but the waffle instructions said to add egg and oil. So I decided to follow the base instructions that are used by most of the other mixes. I used 1.25 cups of the dry mix, one large egg, one cup of milk, and a couple of tablespoons of vegetable oil. The texture was as close to a super moist cake of anything I’ve eaten in the gluten free genre. 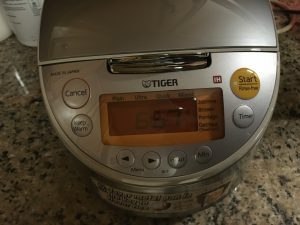 I picked up a tiger brand Induction rice cooker to replace the Zojirushi. I’m still getting used to it. It seems to be more finicky than the Zojirushi. The only setting that consistantly makes good pancakes is “plain”. Of course like almost every other rice cooker out there, there is almost no definition of what the settings are, but I have not found a better one yet. Great with exceptions: If you don’t have issues with oatmeal, Kodiak was very good. If you don’t have issues with tree nuts Pamela’s is very good. The Fly Web UV light with glue board is an excellent fly/gnat catcher for the garage. The generic can be found cheaper. Be warned however I’ve ordered 4 packs of these bulbs directly from China on Ebay and the ones I ordered would not work.